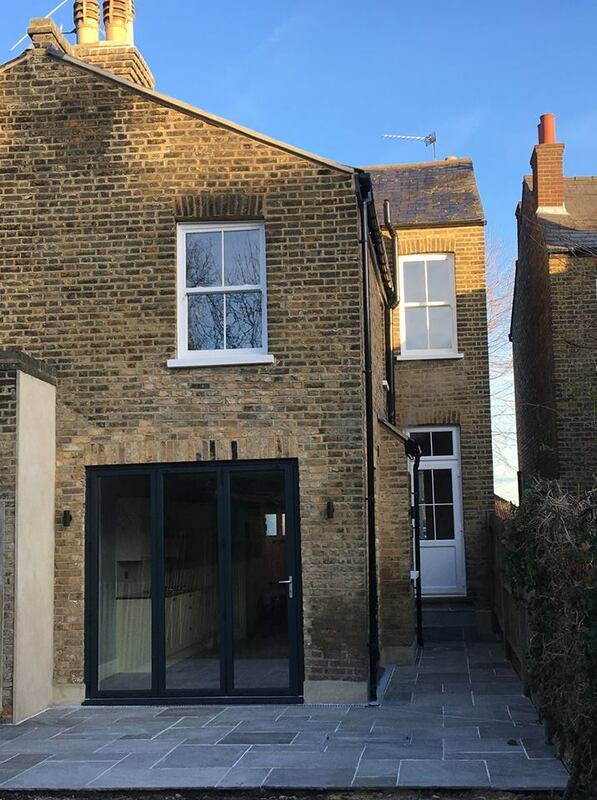 As part of a full refurbishment of this late Victorian end of terrace villa, we completely re-modelled the original kitchen, forming two new glazed door openings and removing a chimney breast to maximise space. The structural works were extensive, involving underpinning of the original external walls that had been subject to subsidence in the past, as well as the installation of new steel structure to form the new openings. Specialist damp-proofing, internal insulation and complete brickwork re-pointing were necessary to upgrade the building. 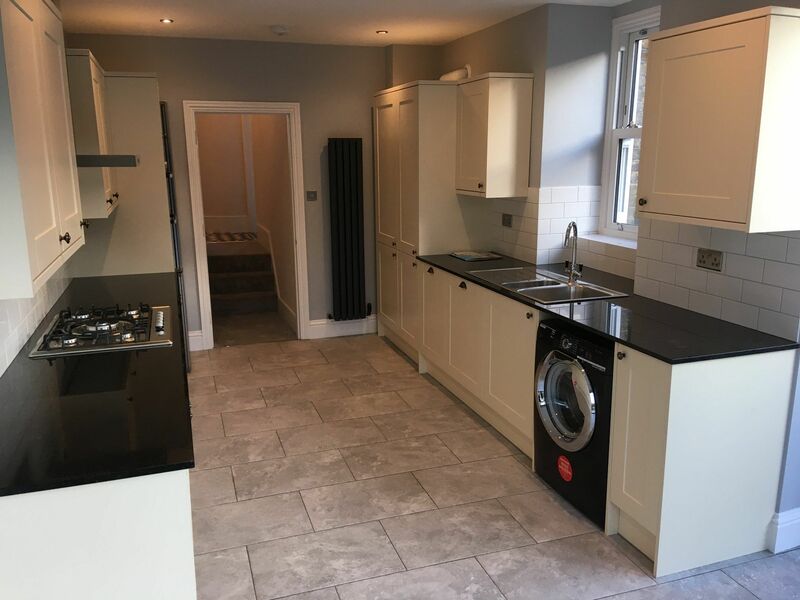 We fitted a new Howdens kitchen with granite worktops and integrated appliances. 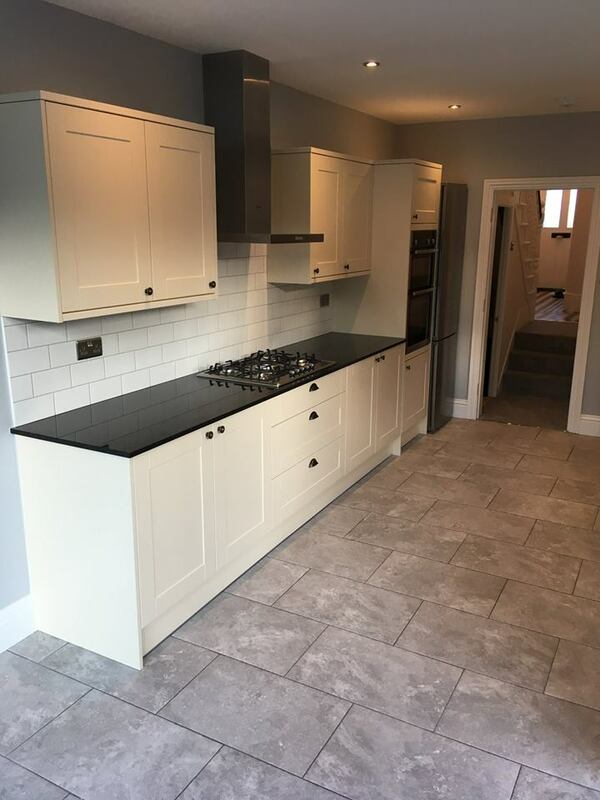 The new kitchen floor was formed of porcelain tiles which matched nicely with the grey Indian sandstone paving that we laid to the adjoining new exterior patio area.